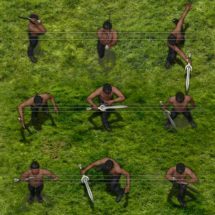 This fellow is Bowie, a modern day street fighter who loves to get down and dirty with melee weapons! 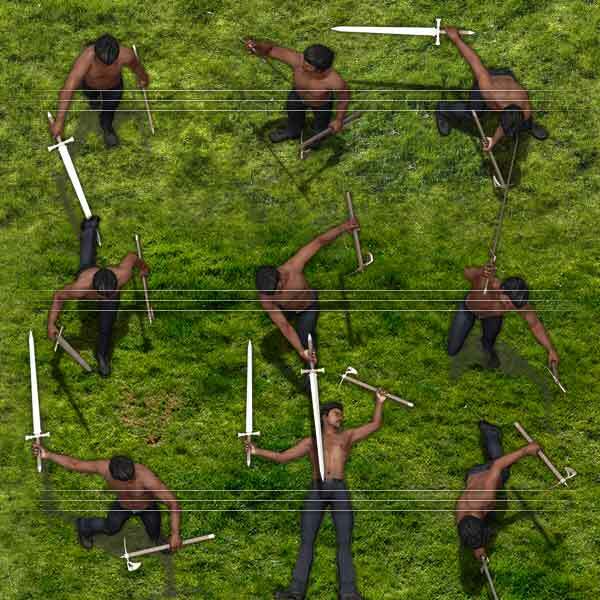 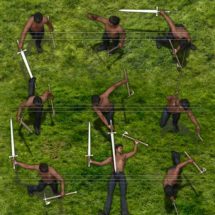 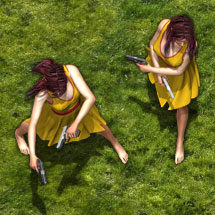 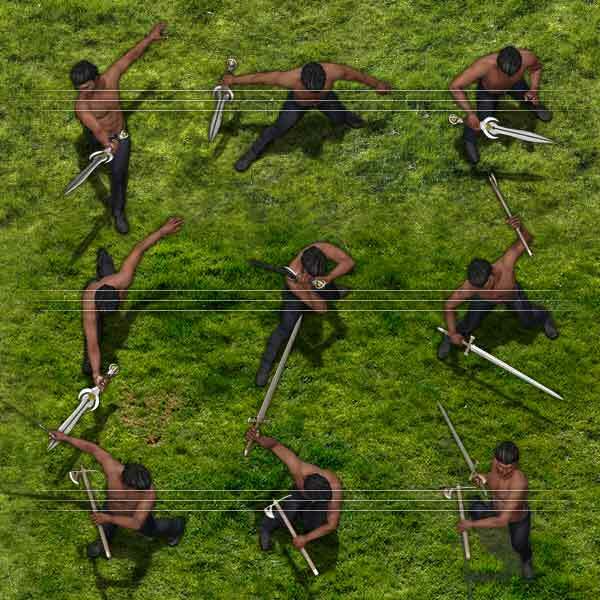 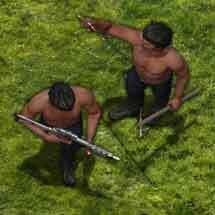 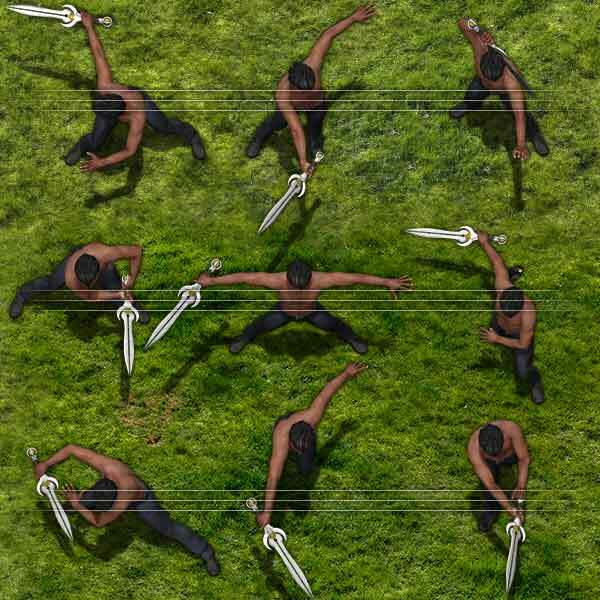 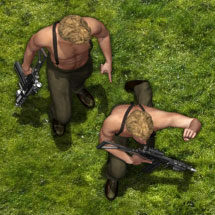 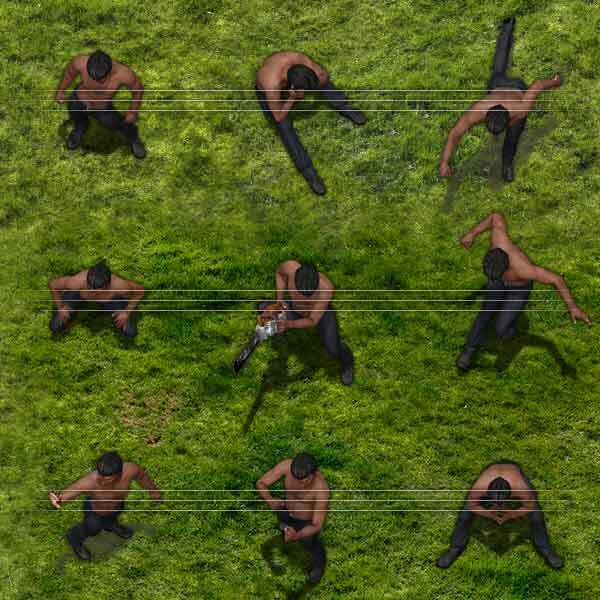 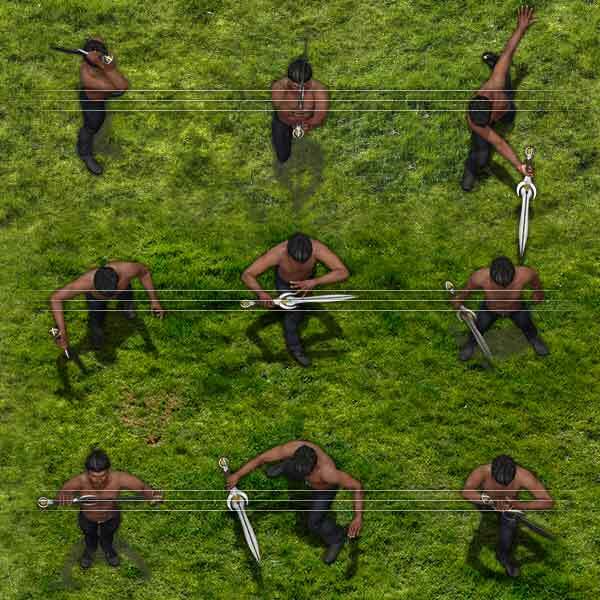 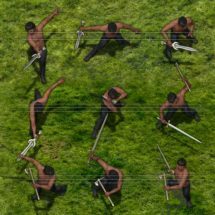 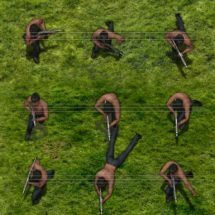 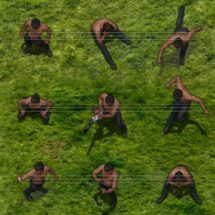 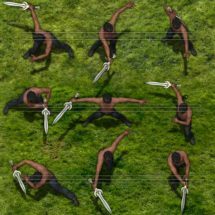 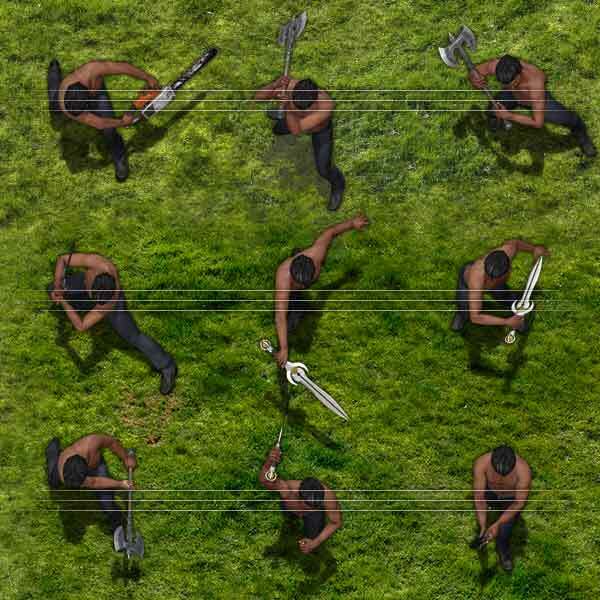 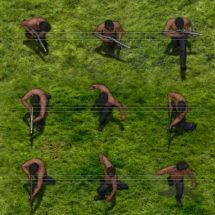 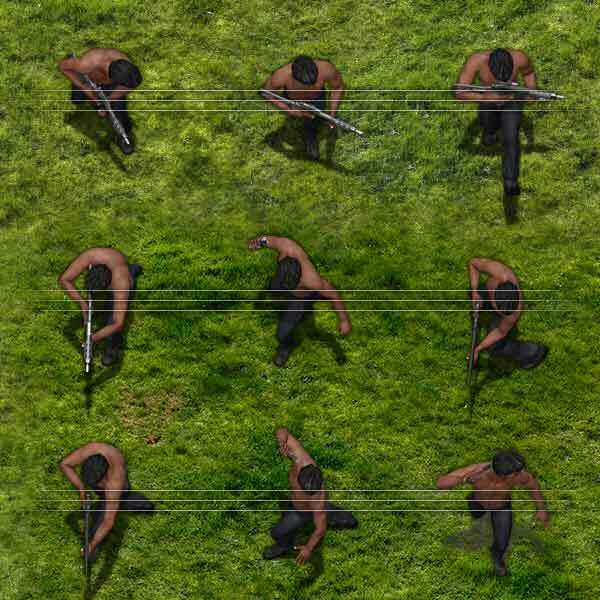 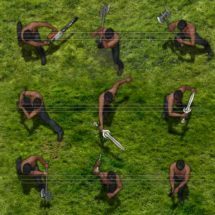 A 3D rendered character equipped with a range of axes and swords, plus pistols and automatic rifles! 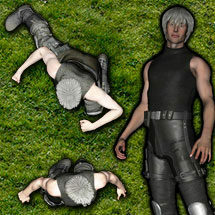 This science fiction themed character token set contains 91 tokens of the character depicted in the samples.